The following faculty-centered programs are focused on the Common Experience for Faculty theme, time, and are aimed at fostering cross-disciplinary collegial community. If you have a program you wish to pursue related to the theme of time, and you do not see it listed below, please contact Mark Wheeler, [email protected], (Philosophy) or Arlette Baljon, [email protected], (Physics), the chief faculty organizers for the programming. Event: "Time in the Foundations of Quantum Theory and Its Application" by Gregg Jaeger, Ph.D.
Gregg Jaeger, Ph.D. is an Associate Professor of Natural Sciences adn Mathematics with the Department of Electrical and Computer Engineering at Boston University. When anything feels sacred we make time for it. What is so Sacred about Time? We envision a series of discussion to explore if and how sacredness influences the research questions we delve into and the discussions that we engage our students in. Sense, feel, and perceive time at these four dance events. This series offers glimpses into the perspectives of dance researchers that include questions, perceptual frames, processes, and “products”, some made-in-the-moment, and others over years. A weekly group impovisation practice/dance research group that Humphrey and Seiters have been part of us for over a decade. This is an invitation to witness their time-based practice: 15 minutes of silence/stillness, 15 of solo prep/tuning, 15 of group prep/tuning, and 45 where they "make something" together. Radical, raw, relational. Fully colaborate. Never obey. Always LIVE. Directed by Jess Humphrey and Eric Geiger featuring piano faculty, Toni James and SDSU alumni Chloë Freeman, Zack King, and Nhu Nguyen. Feeling was born of research on the embodied nature of emotions and now feeds on music and dramas, both durational and enduring. *Post-performance discussion with artists. Directed by Leslie Seiters, the foreground of this dance is one continuous event over time. Underneath this forward momentum is recursive structures using fragmentation, repetition, and jump cuts. We practice resonance, incongruity, and overwhelm. Post-performance discussion with artists (March 1, 2019 only). Choreographed by world-renowned experimental dance artist Deborah Hay. Presented by Dance Faculty Leslie Seiters & Jess Humphrey in ENS 200 at SDSU. Please join us for a faculty reading circle with Prof. Emily Bernard to discuss her latest book, Black is the Body: Stories from my Grandmother’s Time, My Mother’s Time and Mine. The book details Prof. Bernard’s experiences teaching African American literature at the University of Vermont, where she is the Julian Lindsay Green and Gold Professor of English. We will discuss, among other things, issues of race and inclusivity/diversity as they pertain to teaching. The reading circle will convene from 1 to 3 in the Finch Conference Room (AL 6th floor, Dean’s Office), and lunch will be provided. Please RSVP to Walter Penrose, Jr., indicating dietary restrictions (if none, please indicate so). A copy of the book will be provided to those who RSVP, but seating is limited to 20 persons. Following the reading circle, Prof. Bernard will give a lecture tying her book to her current research, entitled “Black Women Writers on Art, Love, and Freedom: A Personal Journey. “ All are welcome to attend – Free and open to the public. The lecture will be followed by a book signing. Wine, beer and a variety of appetizers will be provided. The event is hosted by the Division of Academic Engagement and Student Achievement (DAESA) and will serve as an opportunity to learn more about the Common Experience events planned for Faculty. To RSVP for the reception, please email the Common Experience Director Jose Preciado at [email protected] by September 24, 2018 at 12 noon. Please indicate any special needs in your email. Faculty interested in reading and discussing Daniel Ellsberg’s new book before attending Ellberg’s SDSU talk on 2 October are encouraged to get in touch with Mark Wheeler ([email protected]) for a copy of the book and for information about the dinner party at which colleagues will discuss the book. Faculty reading circle of The Slow Professor: Challenging the Culture of Speed in the Academy, by Maggie Berg (Department of English at Queen’s University) and Barbara K. Seeber, (Department of English Brock Faculty of the Humanities). This event is limited to 20 faculty. To participate, contact Eve Kornfeld or Michael Roberts via email for confirmation. Craig Callendar recently published a book titled “What Makes Time Special?” Recent years have witnessed the development of truly interdisciplinary projects intended to bring insights from physics, cognitive psychology, decision theory, neuroscience, biology, linguistics, and other areas to bear on our philosophical understanding of time and temporal experience. Callender’s novel and engaging contribution to this development is driven by a desire to understand the emergence of "manifest time". We plan to bring an interdisciplinary group of faculty together (physics, biology, chemistry, engineering, psychology, anthropology, philosophy, ….and more) to talk about these concepts. For instance: what is the role of cause-effect in a scientific experiments versus an emerging network approach. Is time quantized (Planck time)? Do processes in nature occur intentionally or randomly? Is memory needed for an intentional change? What is the role of time beyond ordering events? Indigenous belief systems were deeply rooted in understandings of natural cycles and balance in world view. For the Kumeyaay in particular, the celestial calendar was central to understanding and honoring the world around us. 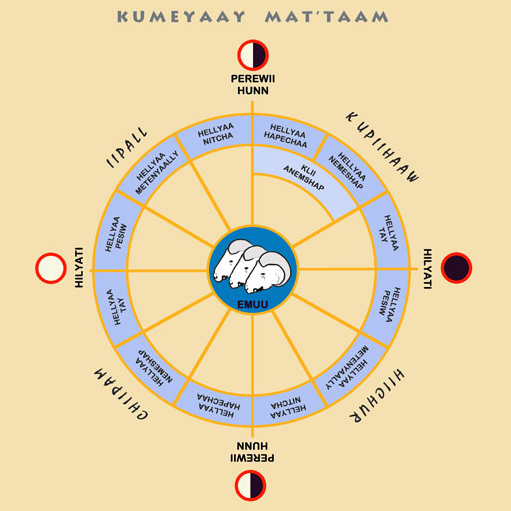 Michael Miskwish, a Kumeyaay Historian who has researched and written on Maay Uuyow, or Kumeyaay Astronomy, will present his understanding of the interrelationship of Maay Uuyow with traditional Kumeyaay lifeways and its continuance into the present day. Michael Connolly Miskwish is a Kumeyaay from the Campo Indian Reservation. 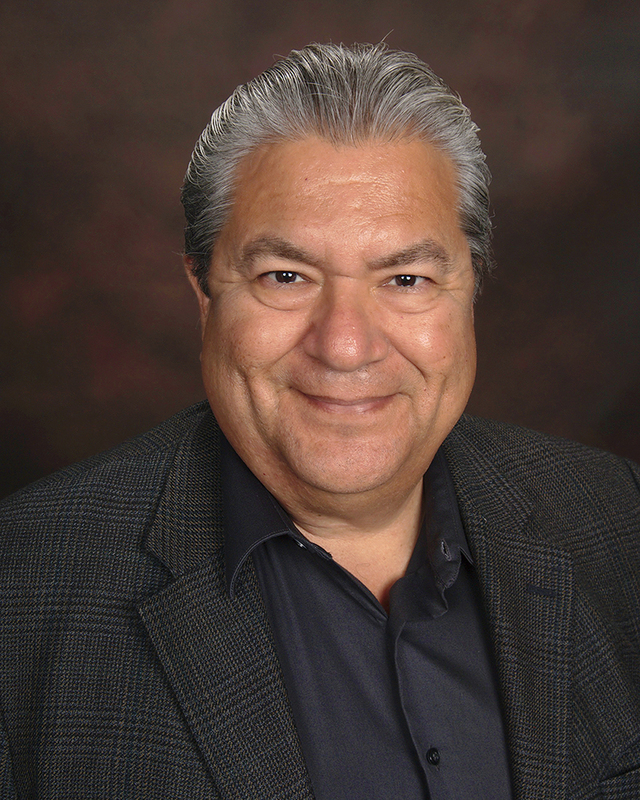 He has written and worked extensively on Kumeyaay history, traditional environmental knowledge and resource economics. His work has been shown in the Museum of Man in San Diego, the Museum of the American Indian in Washington D.C. among many others. Monthly meetings to compare concepts of time in philosophy (Dōgen, Krishnamurti, Heidegger, Nietzsche) and in physics (Einstein, Bohm), examining both similarities and differences.